Our goal is NOT to load you up with things to do at Facebook. Hopefully you already have an overall approach to how you want to use Facebook for business. If not, you may want to watch this 45 minute training on How To Segment And Monetize Your Facebook Friends. Or discover the simple 7 things we do to grow Ann Sieg’s Facebook Page. It’s to make consistent daily, weekly, monthly progress. In order to make this progress, you must perform “tweaks” as you go. It’s these “tweaks” that help you reach the point to where you’re doing the minimum amount and still achieving maximum results. 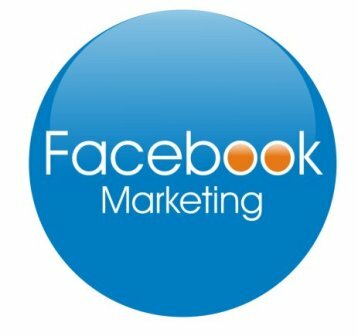 Smart and fast marketing tweaks (adjustments) for you to make to your Facebook page and your blog. These changes will give your Facebook business page a little extra eyeball time. They make everything count. This always helps as it relates to getting noticed and staying relevant. Let people know you have a Facebook page. To do this you need a social plugin. A Social Plugin is html code that you can add to your blog’s sidebar which will render a box with your page’s name, the main image, and you are given an option to show your stream of updates. To add a Facebook Like Box to your blog’s primary sidebar, follow these directions. So now you’re logged in as your Facebook Business Page. I recommend the Like Box. The Like Box enables users to like your Facebook Page and view its stream directly from your blog. Choose your color scheme and check the boxes as you desire. Make sure the Facebook URL is changed to the one for your Page. When finished, click “Get Code” and copy/paste the one under “iframe.” Copy and paste the code on a text document. Now head on over to your WordPress blog. Log into your blog and from your dashboard. Find Appearance on your left hand side menu. Under Appearance click on Widgets. Search among the Available Widgets until you find the Text widget. Grab and drag and drop the Text widget to your Primary Sidebar. Then open the Text widget and paste the code into the box. Click save. You should now have the Facebook Like Box on your WordPress blog sidebar. Your Page’s main picture lets people know about upcoming events. If you’re hosting a webinar, for example. Include text that lets them know when it will take place. Don’t do this all the time, but every now and then it will help remind people that there’s something important going on. Have them submit pictures demonstrating appreciation of your product. Showcase them as part of your picture. Tell them they will be featured. They will tell their friends to check your page out. Keeping your page updated might take a little bit of time, but it helps you stay relevant on people’s news feeds. Remember, people are updating constantly, and if you update only once, it is very easy to get lost in the newsfeed of other Facebook users. Updating a few times a day shows that you are relevant and will ensure that your page gets the attention it needs. For more information about how to develop a Facebook update strategy that works for you, read this post. Your goal is to find that threshold where you can do the minimum amount and still achieve maximum results. This only occurs after a consistent process of making 2 millimeter tweaks – slight adjustments. Today you learned 3 such “tweaks” that will help you reach your marketing goals. Need Big Picture Help With Social Media? Don’t miss the forest for the trees. Read The Essential Social Media Marketing Guide For Getting More Value From Your Social Media Marketing Efforts. Simple and clear tips here. Updating your Page frequently is crucial. If you have questions, contact support@therenegadesystem.com and we will help you out if you need it.